Oh my goodness. If I could eat this dish weekly, I would. I won't, because the salmon at our Whole Foods doesn't come cheap ($15/lb! ), but it is absolutely a treat that I'm willing to splurge for now and then. The occasion arose recently when we celebrated Ryan's birthday. As per our tradition, birthday boy/girl gets to select the meal and his request was, unsurprisingly, seafood. My mom made this recipe for us over the 4th of July and I'd been looking for an excuse to make it again! I order seafood, salmon specifically, in restaurants fairly often. This is mostly because I don't cook it a lot at home and want to take advantage. This salmon, however? This is better than most salmon dishes I've ordered out! 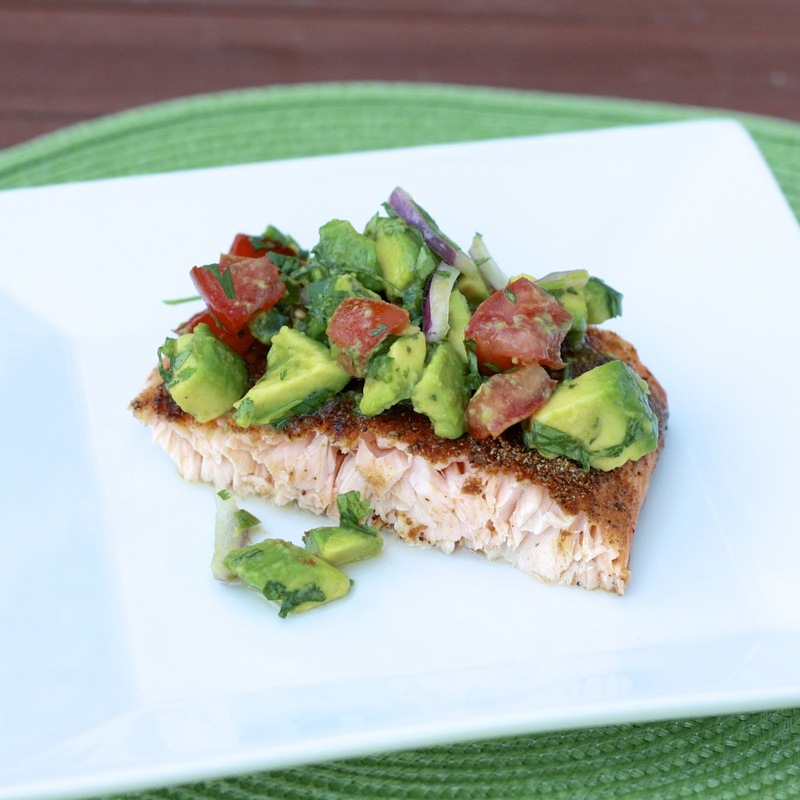 The spice rub adds a jolt of flavor that seems to usually be missing from restaurant dishes and the avocado salsa on top is just the thing to compliment the buttery fish. Break this recipe out next time you're craving restaurant-worthy seafood in your own kitchen! 1. Mix the salt, coriander, cumin, paprika, onion powder, and black pepper in a small bowl. Rub the salmon with the olive oil and the seasoning. Refrigerate for at least 30 minutes. 2. Preheat the grill. Meanwhile, in a medium bowl, combine the avocado, onion, jalapeño, tomato, lime juice, cilantro, and salt. 3. Grill the salmon to desired doneness. 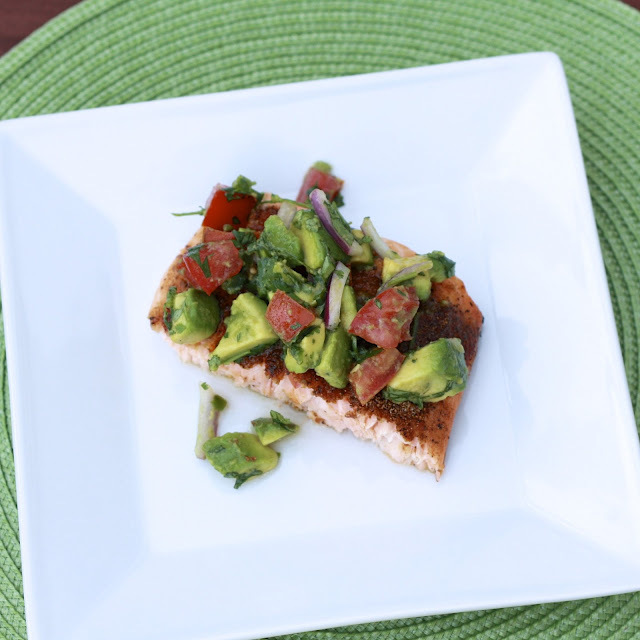 Serve salmon topped with avocado salsa.